It may be called "How to Get Away with Murder," but the hit ABC show could be called "How to Get Away with Making One of the Sexiest Shows on TV"! 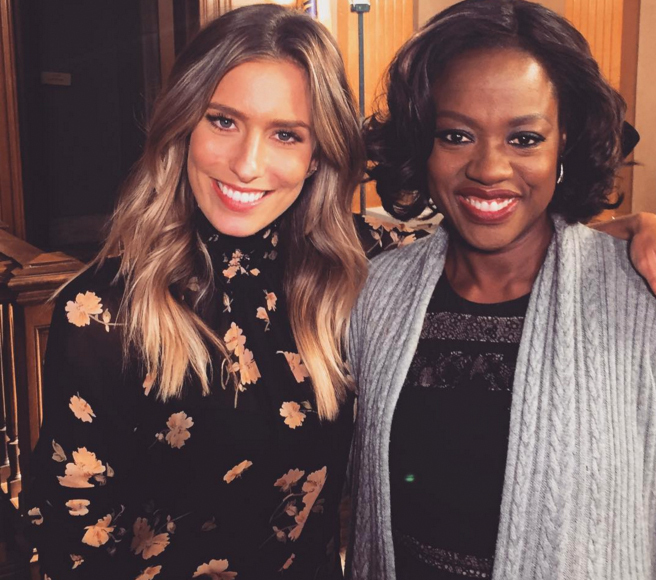 "Extra's" Renee Bargh was on set with Emmy winner Viola Davis, who opened up about her role as law professor Annalise Keating… and about her racy love scenes. Viola said that in the past, she didn’t get to do a lot of love scenes with the characters she has played. All that is changing now with Annalise, who has steamy scenes with men and women. "Sometimes I want to say… 'Can you slow it down?'" The ShondaLand show isn’t showing any signs of slowing down. Viola told Renee that she’s just wearing "that gauzy thing over your ta tas" when shooting the revealing scenes. She said her husband is okay with it. "I think he's okay with it because he knows I'm not having the best time of my life." Viola also revealed what she uses to get in the mood to shoot the scenes, saying, "I'm like, 'Is it legal to have vodka before'" Renee asked, "Do you ever have a shot or something before?" Viola admitted, "Yes, I do. And I know that will be controversial but, yes, I do.” She continued, “That's what acting is about — it's about being uncomfortable in public, and trust me, I'm doing my job." What also may be controversial is tonight's winter finale. Fans will finally find out the answer to the big mystery: Who shot Annalise? Viola said it will be a shocker. "You most definitely are going to be shocked, because we were shocked, really, and I've heard so many kinds of theories and no one has quite gotten it right." Not giving up any secrets or spoilers, she would only say, “Let's put it this way — when we shot it, it was emotionally exhausting. It took me three days to recover." She reveals that part of her recovery was "tea and Prosecco." At home, Davis is a mom to 4-year-old daughter Genesis, who looks up to her mommy so much so that she dressed like her for Halloween, "It was her idea, because I gave her a big lecture on individuality and I took her to Party City. I said, 'You can be anyone else — you can be lagoon girl, you can be pirate girl,' and she said, 'I don't want to go through all this, Mommy, I just want to be you, let's go.'" 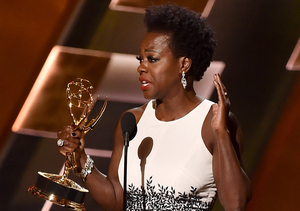 Genesis told everyone she was "Emmy Award-winning Viola Davis" when they went trick-or-treating, even carrying Davis's statue. "As soon as she got her candy she said, ‘Mom, hold this.'" Watch the "How to Get Away with Murder" winter finale at 10 PM tonight on ABC.